We’ve all seen printed floor graphics advertising various soap powder brands in our local supermarket. Colourful, large printed floor graphics naturally tend to grab our attention simply because we instinctively scan the floor for unexpected obstacles that may cause us to trip and fall. While some displays may catch the eye of customers strolling around trade shows or shopping centres, others may be missed due to distractions or disinterest in their surroundings. Floor graphics cannot be overlooked, especially when they remain consistently visible. Did you realise that you don’t have to be a massive brand to make use of floor graphics? 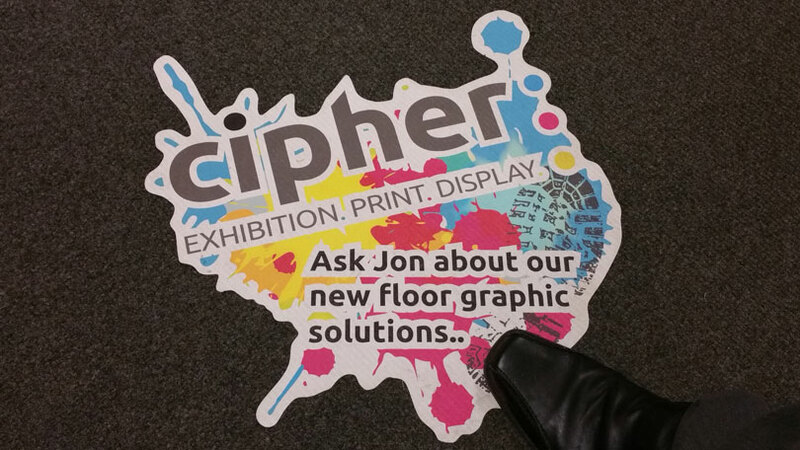 Utilising the latest printing technology in latex inks, we can print, cut and fit floor graphics for indoor and outdoor use, short or long term. Our printed floor graphics can stick to smooth floors such as carpet, tiled, wooden flooring or even bricks and tarmac! And you can buy as few as one!